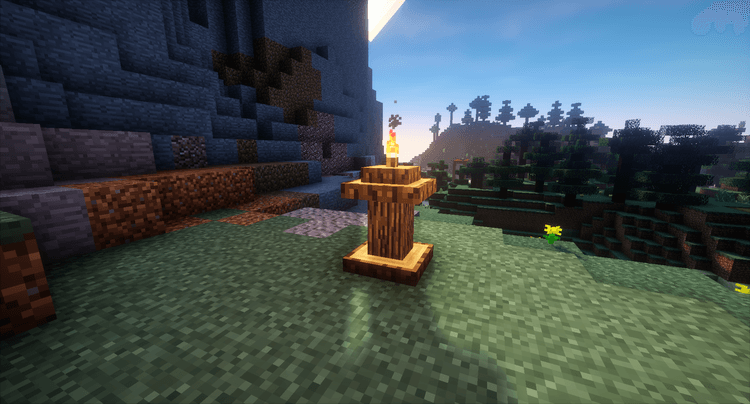 MobTotems Mod 1.12.2/1.11.2 will add several items relating to “Totem” (a type of magic pillar of the tribes) into Minecraft. MobTotems Mod is a mod that the author has written during learning modding. Therefore, its feature and items that this mod has provided will limit. However, it does not mean this mod is “useless”. 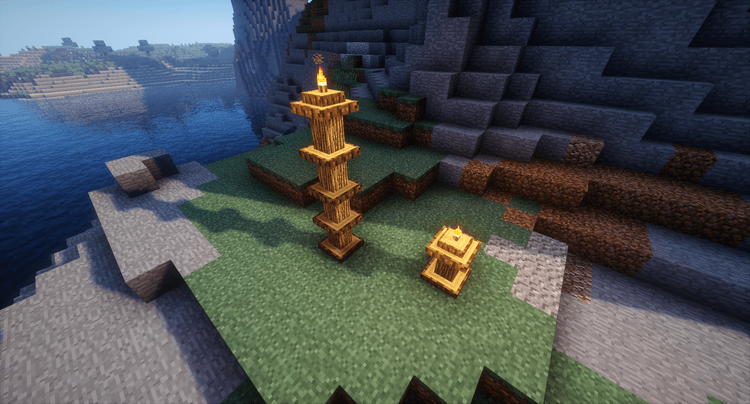 MobTotems Mod will allow you to create the totem pillars with its feature to avoid mob appearing in some locations. Step 1: Create a tool to cut down the tree (transform the wood into totem pillar). Step 2: Plant a wood to the ground and using a tool to right click to the wood. It will become totem pillar. Step 4: Put the magic fire torch to the totem pillar. NOTE: You can also put several totem pillars together (maximum 4) to increase the size to avoid the appearance of the mob (every pillar is 16 blocks). One more time, this mod is very simple and tiny. Therefore, it does not need any item or block beside mentioned blocks. This mod does not require any core mod to run; you can install and download in the following instruction. Download Forge Installer, MobTotems.jar file. Put the MobTotems.jar file into mods folder and then run Minecraft. Done!